Our Mt Hood Ski Bowl tour provides easy access to excellent terrain with a wide variety of runs, glades and bowls, including Skibowl’s Outback full of double black diamonds. Despite the lower altitude and often limited season when the snow is right, Ski bowl offers some of the best terrain out of all Mt. Hood’s ski areas! Shuttle services to Ski Bowl, Government Camp, Grand Lodge and Collins Lake Resort from Portland are available when servicing Mt Hood Meadows and Timberline Lodge. Private group transportation can also be arranged. When the snow starts to fall on Mt. Hood, snow enthusiasts eagerly await news of opening day at Skibowl, America’s Largest Night Ski Area and the closest ski resort to Portland, Oregon. 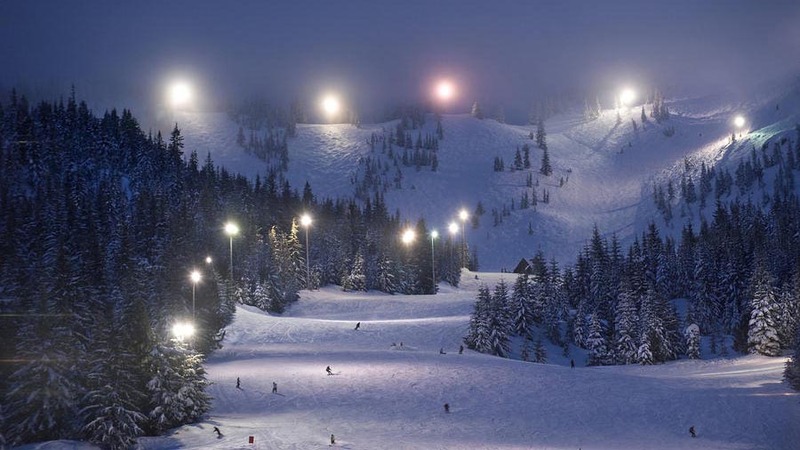 Skibowl offers some of the best skiing in Oregon.Featuring 34 fully lit runs, 65 runs total and a vertical drop of 1,500 feet. With the most Black Diamond runs of any resort in state and two fully lit terrain parks, Skibowl draws accomplished snow riders as well as beginners and intermediate riders out for a great time.